A glimpse of just some of the loot! You may have already noticed the Rafflecopter addition to the footer of all of my blog posts, but I’m officially announcing it here! 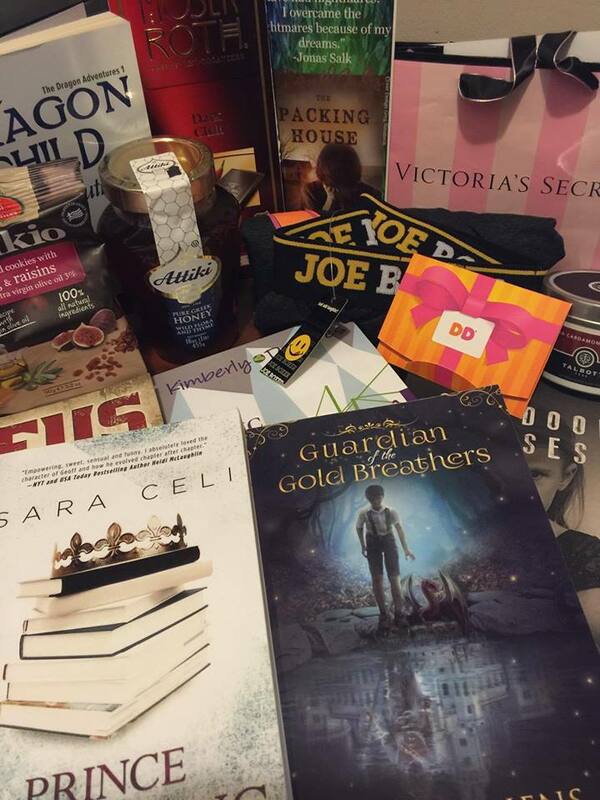 I and some of my fellow authors have put together a holiday giveaway with prizes totaling over $200, and the best thing about it is there’s no cost to enter! Check out the Rafflecopter doowhatzit (official term) below to see the ways you can sign up for multiple chances to win. The more ways you enter, the more chances you have! So hey, dive in, discover some new authors, and take your shot at winning free stuff! The entry form is below, and also at the end of every single blog post. But hurry: The contest ends at 8pm PST December 10th! Oh, and if you’ve never heard of Rafflecopter, it’s an online site/system for setting up giveaways just like this. It has absolutely nothing to do with Soylent Green, the festive holiday food of the future that, of course, is made out of people. 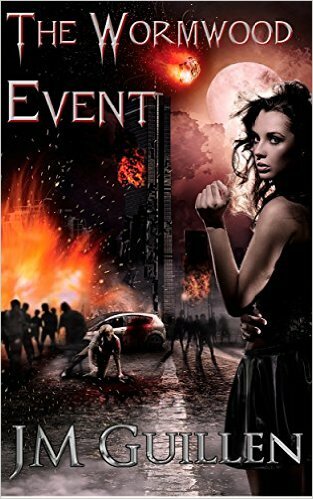 Want a free dark fantasy detective novella? Hi everyone! 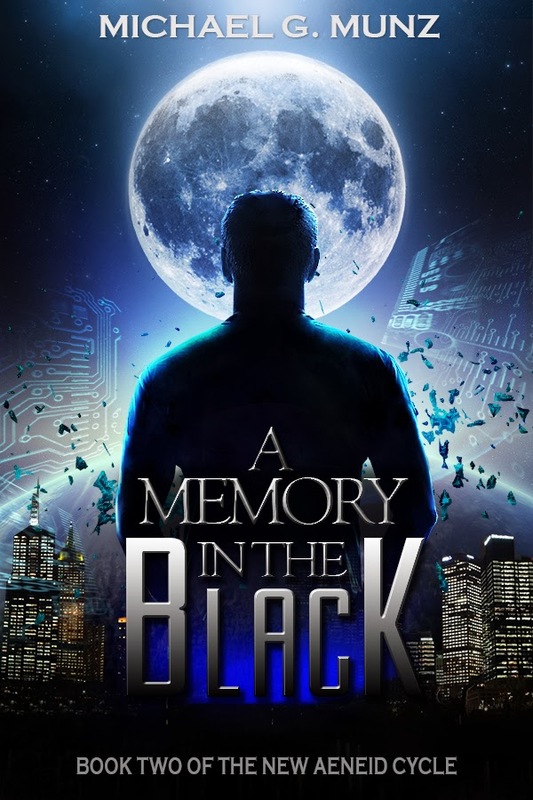 This is just a quick post to let you know that dark fantasy author J.M. Guillen is currently letting e-copies of his novella, On the Matter of the Red Hand, go for free on Amazon! I read this book about a year and a half ago, and I recommended it then when it wasn’t free, so now that you can get it at the push of a button, it’s even more worth your while. 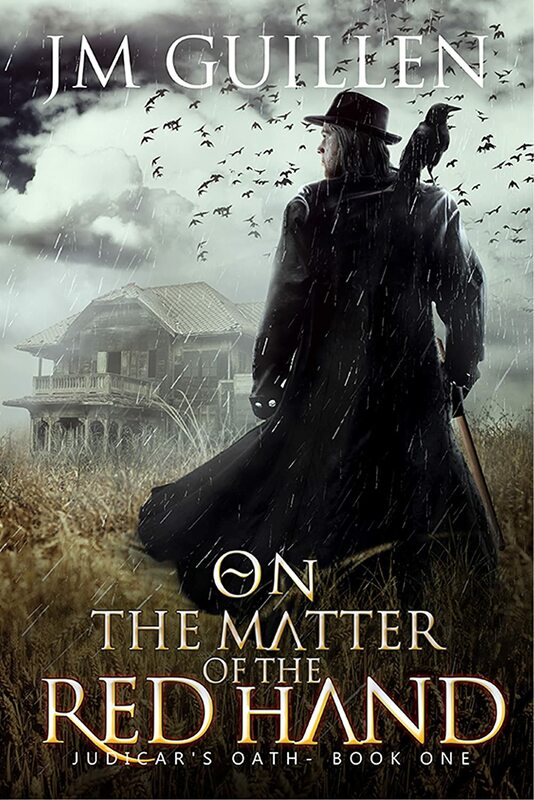 Set in “an intriguing pre-industrial setting filled with alchemy, guilds, and danger” (to quote my original review), On the Matter of the Red Hand introduces us to a class of detectives guided by an alchemical serum that gives both prophetic visions and waking nightmares. Click here to grab the book for free! Zeus Is Dead Blog Tour! 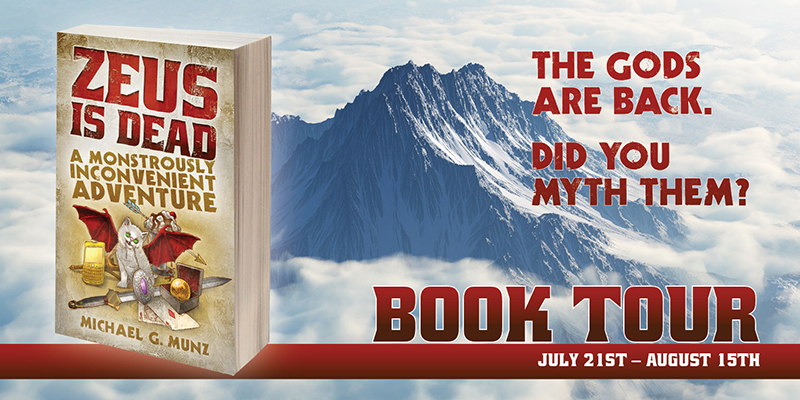 The epic comedic fantasy novel that is Zeus Is Dead: A Monstrously Inconvenient Adventure is officially released as of today, and I’m a-goin’ on a blog tour! Prizes! New blogs! And one awesome book! Subscribe to Geek Notes, get free stuff! Subscribe to the website mailing list now and get a FREE copy of my short story collection Mythed Connections: A Short Story Collection of Classical Myth in the Modern World! Mythed Connections contains three stories written prior to when I began to write the upcoming, full-length novel Zeus is Dead. You might say it’s a spiritual prequel. (Go on, say it. There, wasn’t that fun?) And yeah, I know, the title is long. When I picked it, being concise was not the foremost thing on my mind. Perhaps the fact that they’re SHORT stories made me want to go with a long title to balance them out? Subscribe and get it free! Special Smashwords offer: Today through February 28th, you can download it (in epub, mobi, or PDF) from Smashwords for half the price with coupon code VG23D! Want to get a FREE copy? Help me out by sharing this link (http://www.michaelgmunz.com/new_aeneid.html) on Twitter or Facebook by Feb 28th, then either comment on this post or email me that you’ve done so at mike@michaelgmunz.com, and I’ll send you a code to get it from Smashwords free! 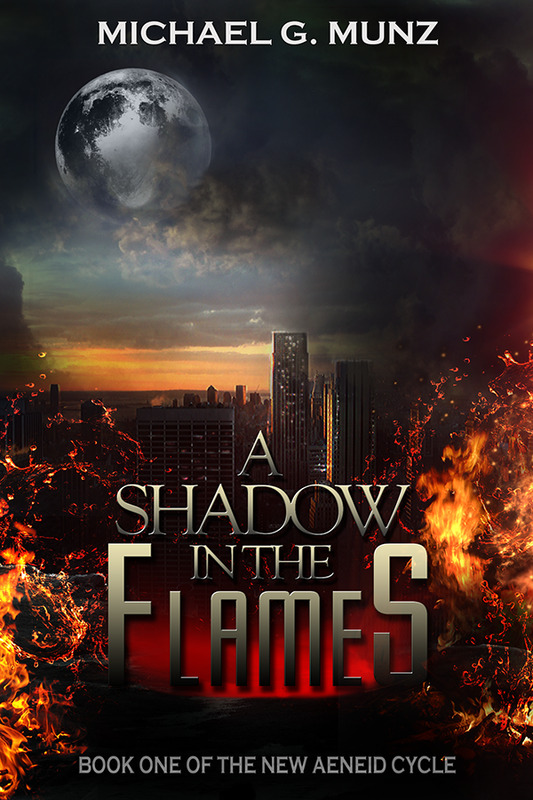 And, of course, A Shadow in the Flames, book one of the series, continues to be free across just as many platforms. 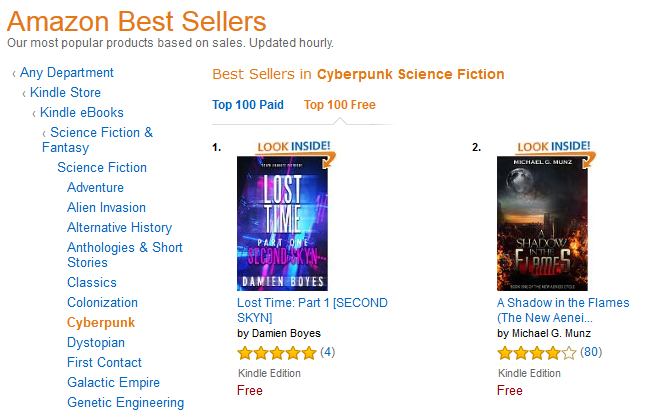 If you haven’t read it yet, pick it up today!